The Law Office of Thomas Jeffrey helps Sonoma County residents and families to move beyond their financial problems through creative solutions, including Bankruptcy. Take back control and contact us TODAY! "Tom Jeffrey took all of our concerns away. He was extremely..."
"His experience and knowledge of the bankruptcy system..."
"I am an attorney who utilized the services of Tom Jeffrey in my own..."
"I have referred many people to Tom who also needed help..."
"He takes the weight off your shoulders and I would recommend.."
Debt Relief Law Firm Helping Sonoma County Residents Take Back Control of Their Financial Future For Over 30 Years. 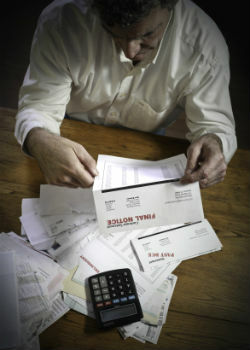 It is normal to feel overwhelmed when there is not enough money to cover all of your bills. For some, it can be a choice between paying the bills or feeding their family. If you are in debt, the pressures can continue to mount. Creditors may be pressuring you to pay money that you do not have, causing you to be afraid to even open your mail or answer the phone. Financial distress can also take a toll on relationships, diminish your effectiveness at work, and negatively impact your quality of life. An experienced Santa Rosa Bankruptcy Lawyer can help stop the creditor calls and help with a plan to put your back on track. Start now by scheduling a FREE initial consultation with an attorney to discuss your specific financial situation, please call our Santa Rosa, California, law office at (707) 543-8530 or fill out our online form. Don’t wait another day to take back control. Our Sonoma County debt relief law firm is here to help! So how do you make the choice between paying your bills or feeding your family? At the Law Office of Thomas Jeffrey , we believe that you should not have to make that choice. By working with an experienced bankruptcy lawyer in Santa Rosa, California, you can get protection from your creditors and remove the pressure and harassment so you can take back control of your life today. Take back control and get a FRESH start towards a strong financial future! With over 30 years experience, Bankruptcy Law Attorney Thomas Jeffrey has helped many clients throughout Sonoma County with legal solutions such as bankruptcy , collection matters, and general civil litigation . Our law firm is limited to the Santa Rosa Bankruptcy Court , which handles bankruptcies for Sonoma, Marin, Napa, Lake and Mendocino counties. We have represented clients in non-bankruptcy cases in virtually all counties in California, but most have been in the North Bay Area. If you are in debt and need help to take back control, you need a trusted Northern California advocate that provides legal assistance for Chapter 7 bankruptcy, chapter 13 bankruptcy, and avoiding foreclosure. At the Law Office of Thomas Jeffrey, our focus is on helping clients to feel welcome and at ease. We understand what a stressful time this can be. We focus exclusively on turning the financial distress into a strong foundation for building up a stable financial future. As a small law firm, you will work directly with Thomas Jeffrey, and Mr. Jeffrey finds it important to make himself as available as possible, and rarely use assistants, paralegals or other attorneys to communicate with clients. In fact, he prepares all documents in the bankruptcy cases that are filed, which is rare for bankruptcy attorneys. As a result, Mr. Jeffrey has been blessed to have some of his clients also become personal friends. 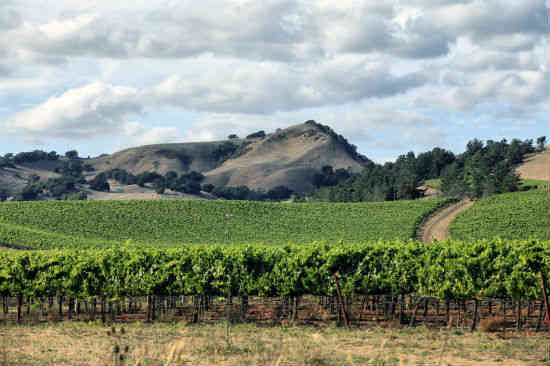 Take some time to look through our testimonials from our Sonoma County clients. At the Law Office of Thomas Jeffrey, we represent clients with debt relief and bankruptcy legal matters throughout Sonoma County, including Santa Rosa, Windsor, Rohnert Park, Cotati, Petaluma, and Sonoma. To stop collection efforts and take the first step to a more stable financial future, schedule a FREE consultation with a bankruptcy lawyer by simply calling our Sonoma County law office at (707) 543-8530 or fill out our online form today.